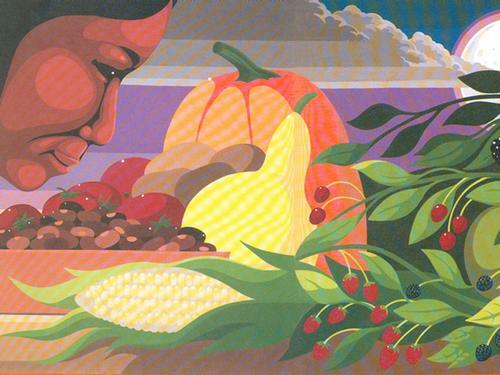 November is Native American Heritage Month—a time to celebrate the rich histories, cultures, and traditions of all First Nations. We have compiled a booklist of board books and picture books written by and about Native peoples. Why not start with these? 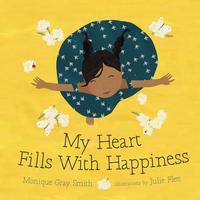 A board book that celebrates happiness and invites children to reflect on the little things in life that bring them joy. The sun on your face. The smell of warm bannock baking in the oven. Holding the hand of someone you love. What fills your heart with happiness? This beautiful board book serves as a reminder for little ones and adults alike to reflect on and cherish the moments in life that bring us joy. 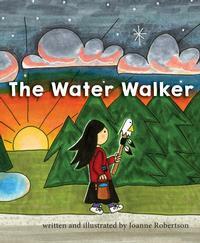 Based on a true story, this picture book is about a determined Ojibwe grandmother who walked around all of the Great Lakes to protect our water. Ojibwe grandmother (nokomis), Josephine Mandamin, has a great love for nibi (water). Nokomis walks to raise awareness of our need to protect nibi for future generations and for all life on the planet. She, along with other women, men, and youth, has walked around all the Great Lakes from the four salt waters, or oceans, to Lake Superior. The walks are full of challenges, and by her example she challenges us all to take up our responsibility to protect our water, the giver of life, and to protect our planet for all generations. When Uncle and Windy Girl attend a powwow, Windy watches the dancers and listens to the singers. She eats tasty food and joins family and friends around the campfire. Later, Windy falls asleep under the stars. 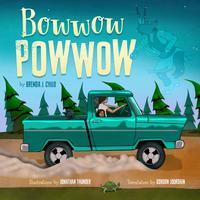 Uncle's stories inspire visions in her head: a bowwow powwow, where all the dancers are dogs. In these magical scenes, Windy sees veterans in a Grand Entry, a visiting drum group, traditional dancers, grass dancers, and jingle-dress dancers—all with telltale ears and paws and tails. All celebrating in song and dance. All attesting to the wonder of the powwow. Native American Heritage Month board books and picture books written by and about Native peoples.